Republican gubernatorial candidate John Cox speaks to supporters in San Diego on Tuesday. He advanced to the general election against Democrat Gavin Newsom, giving the GOP a foothold in a top statewide race. Ballots were still being counted in many of the most contentious races Wednesday morning but Democrats were comfortably positioned to stay in contention in every key race in the state. Republicans also avoided a political headache as they managed to get their top candidate into the race for California governor. Democratic Party leaders had been worried that a surge in candidates could have an adverse affect — possibly keeping them out of several competitive contests if multiple Democrats split the vote in California's unusual top-two primary system, where the top two finishers, regardless of party, advance to the general election. Instead, there's a real likelihood that Democrats, mostly those backed by national party leaders, could compete in every single targeted race. In an interview with NPR's Steve Inskeep, California Democratic Party Chairman Eric Bauman said the results prove that Democrats were able to unite despite those concerns. "You know, I have to tell you we've spent the last months battling the media narrative that said we were going to get shut out of all these races, we had too many Democrats," Bauman said. "I kept saying while we have an overpopulation problem, we don't have a quality program problem." The outcome in California was the major unknown heading into Tuesday, the biggest single primary day so far this year. Voters went to the polls to pick nominees for key House, Senate and gubernatorial contests in eight states — California, Mississippi, Alabama, New Jersey, New Mexico, Iowa, Montana and South Dakota. Democrats see their path to the House majority running through the two dozen districts that sent a Republican to Congress in 2016 but voted for Hillary Clinton over Donald Trump. Seven of these districts are in California, with the highest concentration in the traditional Republican outpost of Orange County. Sensing a Democratic surge, Republican incumbents Ed Royce and Darrell Issa retired, raising Democratic hopes even higher in those races. Democrats feared they had gotten too excited about these pickup opportunities for their own good, as many of these Southern California districts were crowded with candidates. That forced the Democratic Congressional Campaign Committee and other national groups to spend millions of dollars trying to stave off a November shutout in the important 39th, 48th and 49th congressional districts. While results aren't final yet — and may not be for some time because of many mail-in ballots — early results indicate those costly investments paid off. "When we go into the November election in a state where the president has a 26 percent approval rating and where Hillary Clinton won all of these, we're pretty sure we're going to pick up quite a few of these seats," Bauman said. In the open 39th, where Royce retired, Republican Young Kim is likely to face Democrat Gil Cisneros, in what will be an interesting battle for the area's growing Hispanic and Asian-American populations. This district was of particular concern for national Democrats, who worked aggressively to narrow the number of candidates running on their party ticket there. Cisneros emerged as the party favorite — to the great frustration of progressives in the district. Cisneros is part of a broader trend in California and beyond with establishment-backed Democrats winning in competitive primaries. There have been a few notable exceptions, like progressive Katie Porter, who will square off against Mimi Walters in the 45th District, but party leaders have been largely satisfied that candidates on left are well-positioned to compete in those districts. Those primary successes will test whether Democrats can rally progressives and other ideological flanks of the party around more moderate candidates to defeat Republicans in November. One notable example where Democrats believe the moderate choice will benefit them in November is in the 25th, where Katie Hill defeated progressive favorite Bryan Caforio. Hill is the former director of a nonprofit organization dealing with homelessness. She is also a district native — her father served in a local police department and her mother is a local nurse — who proudly supports party leaders on issues like immigration and health care. Democrats in California could also see a boost for candidates across the spectrum as voter turnout increases, particularly on the Democratic side, in the general election — as is typical. In the open 49th, where Issa exited, Republican Diane Harkey led the pack, ahead of Democrat Mike Levin — with two other Democrats trailing behind. The biggest worry heading into the election was in the 48th District, where Trump loyalist Dana Rohrabacher is considered highly vulnerable. Many Democrats thought former Orange Country GOP Chairman Scott Baugh might claim the second spot, but now it seems as though either Hans Keirstead or Harley Rouda, both Democrats, could do so. In the Modesto-based 10th District, Republican Rep. Jeff Denham still doesn't know his challenger, but Democrat Josh Harder was edging out Republican Ted Howze for that second slot with about half the vote counted. Member station KPCC reports that another complicating factor is a printing error that led to 118,522 voters' names being left off the rolls in Los Angeles County, which "will boost the number of provisional ballots election officials need to sort through — and could leave some tight races up in the air for longer than is typical." Actor Henry Winkler tweeted he was among those whose names were left off the voter rolls. There was also good news for national Democrats out of New Jersey, another important state where the party is targeting at least three seats. All of the candidates the DCCC had endorsed won their nominations, including state Sen. Jeff Van Drew in the 2nd District, where GOP Rep. Frank LoBiondo is retiring, and former Navy pilot Mikie Sherrill in the 11th District, where House Appropriations Committee Chairman Rodney Frelinghuysen isn't running for re-election. Those races are two of the best pickup opportunities for Democrats in the country. New Jersey Assistant Secretary of State Tom Malinowski, another DCCC-backed candidate, won the Democratic nomination in the 7th District to take on GOP Rep. Leonard Lance, who is running for re-election in a district Clinton carried by about 1 point. In addition to Sherrill, national Democrats got two more female nominees in top-targeted Iowa races, continuing another trend so far this primary season. State Rep. Abby Finkenauer will face GOP Rep. Rod Blum in the 1st District, while small-business owner Cindy Axne won the nomination to take on Republican Rep. David Young in the 3rd District. 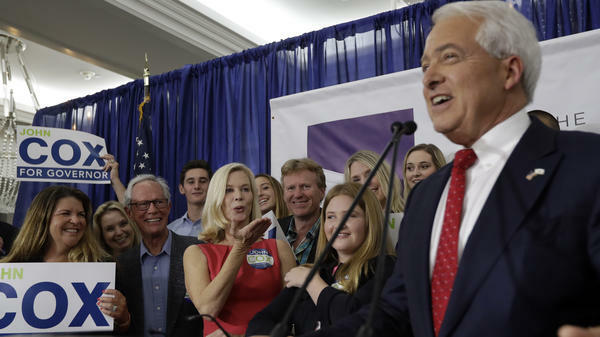 Republicans avoided their own nightmare scenario in California, with GOP businessman John Cox claiming second place in the gubernatorial primary. He'll face off against first-place finisher Gavin Newsom, the current Democratic lieutenant governor and former San Francisco mayor. Both edged out Antonio Villaraigosa, the former Democratic mayor of Los Angeles, who finished third. While Republicans are likely to have a hard time winning either the governorship or a Senate seat in California this fall, party leaders had been worried all-Democratic ballots would depress GOP turnout, hurting more competitive down-ballot races. In Iowa, businessman Fred Hubbell won the Democratic nomination to take on Republican Gov. Kim Reynolds. Iowa Democrats have seen their influence and relevance wane in recent years and are hoping to claw their way back into power in 2018. The Democratic primary saw a major last-minute plot twist, when state Sen. Nate Boulton suspended his campaign after several women accused him of sexual misconduct. But the party got good news when Hubbell, who has put about $3 million of his own money into the campaign, won enough votes to avoid a messy and costly convention fight. Alabama Gov. Kay Ivey, who succeeded Gov. Robert Bentley after he resigned, easily survived a challenge from several Republican challengers and won the nomination without a runoff. The GOP primary took a nasty and personal turn when another candidate raised unfounded rumors about Ivey's personal life, which she aggressively denied. In November, she will face Tuscaloosa Mayor Walt Maddox, who won the Democratic nomination outright. 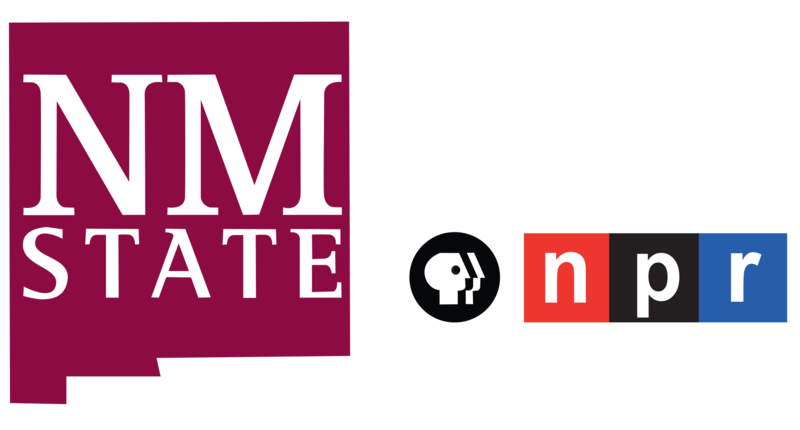 South Dakota Rep. Kristi Noem won the GOP nomination for governor, overcoming her primary opponent Attorney General Marty Jackley's attempts to tar her as part of the D.C. establishment. Other Republican House incumbents have underperformed in their races so far this year, and Idaho Rep. Raul Labrador lost his primary bid for governor. But Noem ended up winning by about 15 points. California Sen. Dianne Feinstein is one of the few moderate Democrats up for re-election this year to face a serious primary challenge from the left. Former state Senate President Pro Tem Kevin de Leon argues Feinstein isn't doing enough to oppose the Trump administration. Feinstein has responded to the challenge by tacking to the left and led de Leon in most polls. Early returns showed Feinstein well ahead of the pack, with de Leon battling Republican James Bradley for second place. New Jersey Democrat Robert Menendez survived a primary challenge, but he took only 60 percent of the vote over Lisa McCormick — who didn't even raise enough money to file with the Federal Election Commission. This was the first time he was on the ballot after a lengthy corruption trial, which ended in a hung jury. In November, Menendez will face former pharmaceutical executive Bob Hugin, who won the GOP Senate nomination. Republican strategist Scott Jennings told NPR's Rachel Martin that the tight margin for Menendez is further evidence that Senate Democrats are not as safe as they would like. "Menendez had sort of a nameless and faceless opponent and he only got 62 percent of the vote against this guy who didn't spend any money at all," Jennings said. "You know, New Jersey is a blue state. It ought to be in the safe Democratic column." In Montana, state Auditor Matt Rosendale won the GOP nomination and will take on Democratic Sen. Jon Tester in November. President Trump has made Tester a top target, after the Democrat played a key role in tanking Trump nominee for secretary of veterans affairs Ronny Jackson. In Alabama, Rep. Martha Roby could be on her way to becoming the second House incumbent to lose a primary this year — but she won't know until July. Roby got only 38 percent of the vote in her primary and was forced into a runoff next month against former Democratic Rep. Bobby Bright — now running as a Republican and Trump loyalist. Roby came under fire from conservatives after she said she wouldn't vote for Trump following the release of the Access Hollywood video in October 2016, in which Trump made vulgar comments about women. "Roby was critical of President Trump after the Access Hollywood tape, and Bright portrayed her as somebody who couldn't be a reliable Trump person," Jennings said. "It goes to show you that Donald Trump does have a real hold on his party and Republican primary candidates have to pay attention to that." National Republican Congressional Committee Chairman Steve Stivers said in a statement Tuesday night that the committee will "continue to stand behind [Roby] and are confident she'll emerge victorious in the coming runoff."